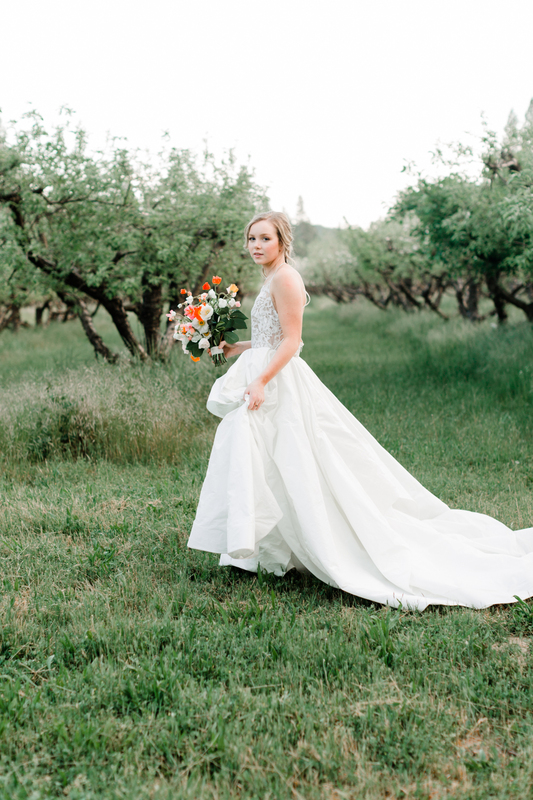 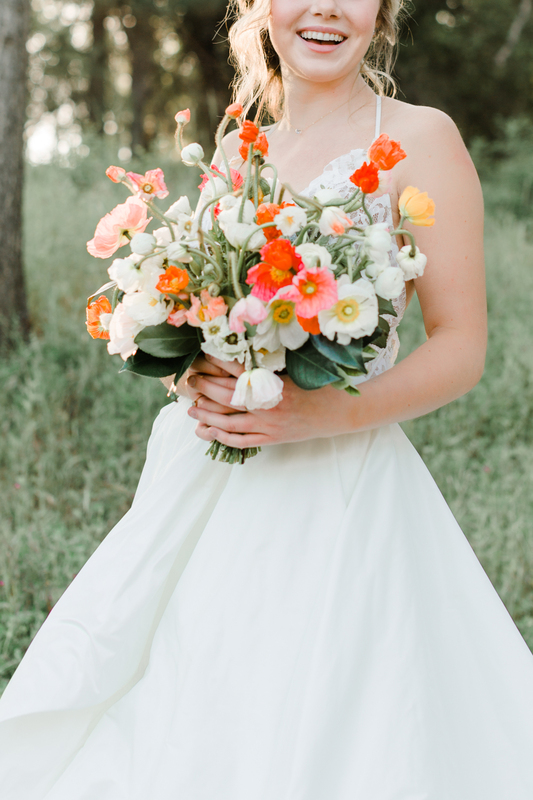 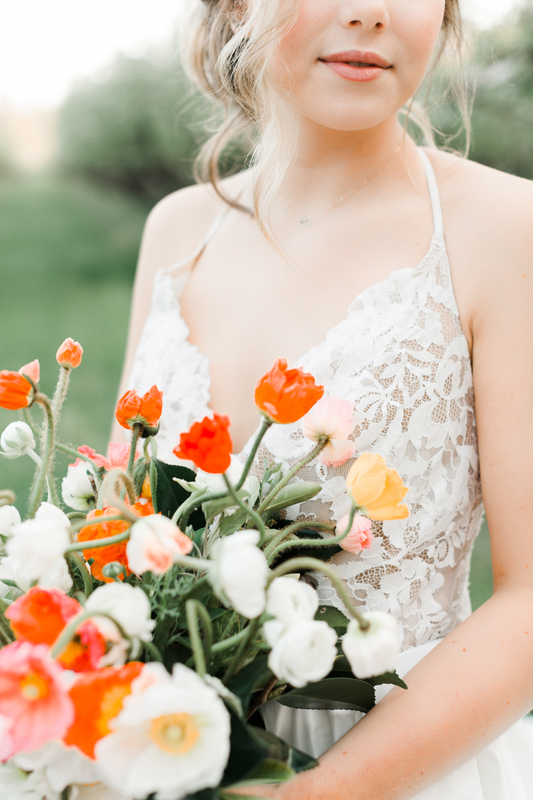 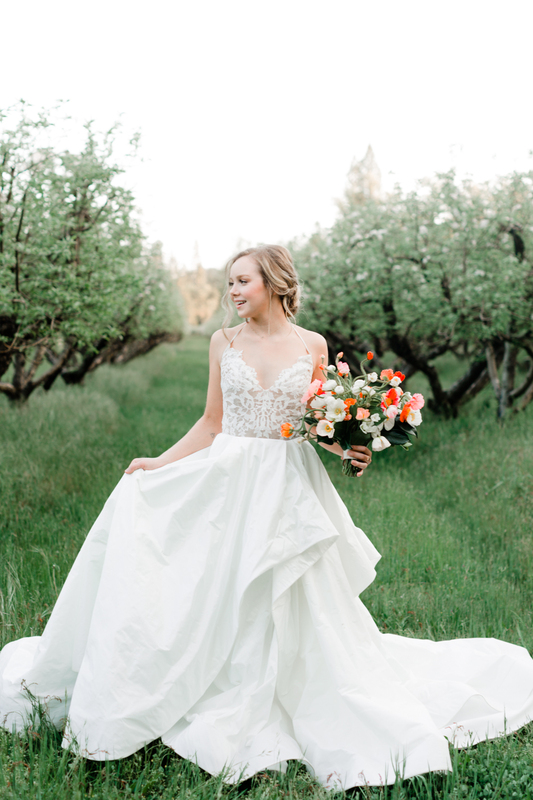 Photographer Erin Milnik‘s singular inspiration behind this shoot was her love for poppies and the bright and cheerful vibe they bring to weddings. 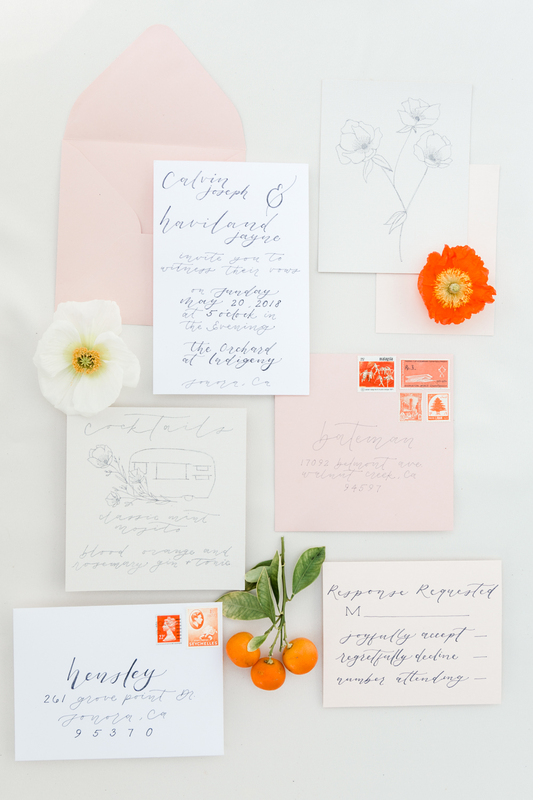 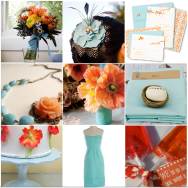 Keeping details simple and focusing on the bloom, Madilyn Broxham Design incorporated poppies into the whimsical invitation suite along with added pops of orange using vintage stamps. 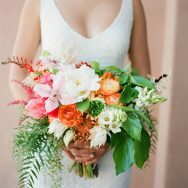 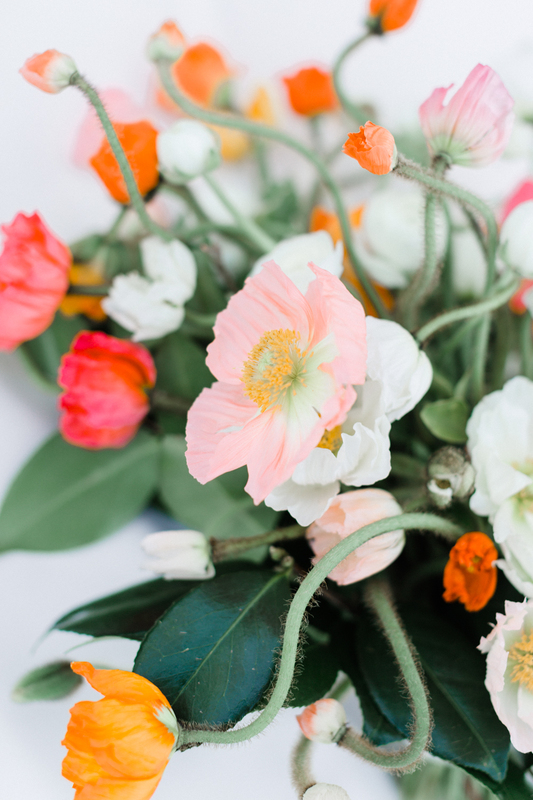 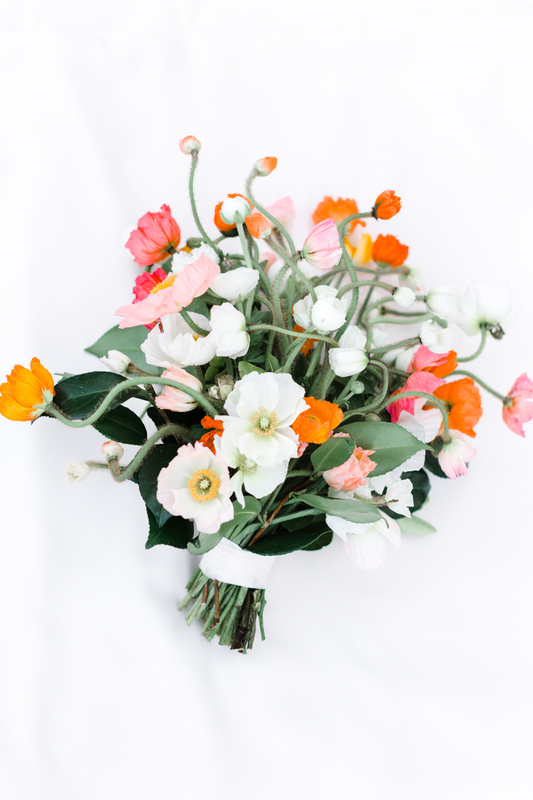 Susan, with Sweet Lilacs Studio created a bouquet made up of entirely all Icelandic poppies in an array of bold oranges, magentas, and soft pinks. 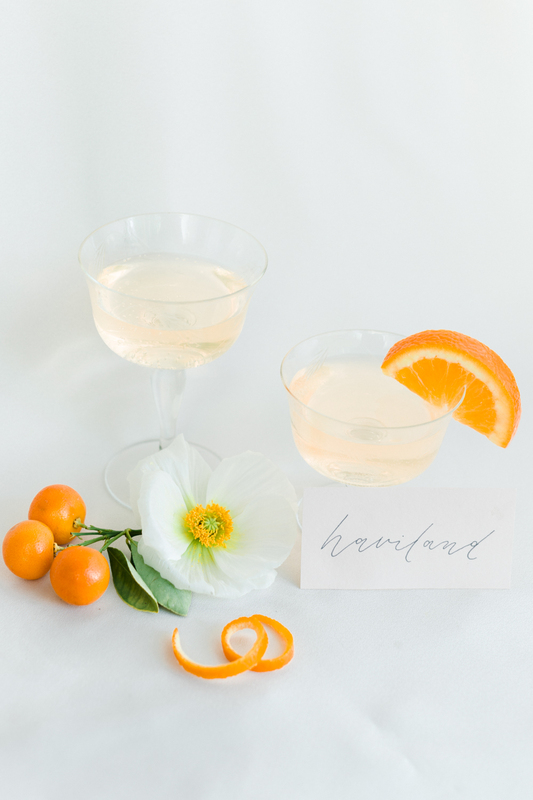 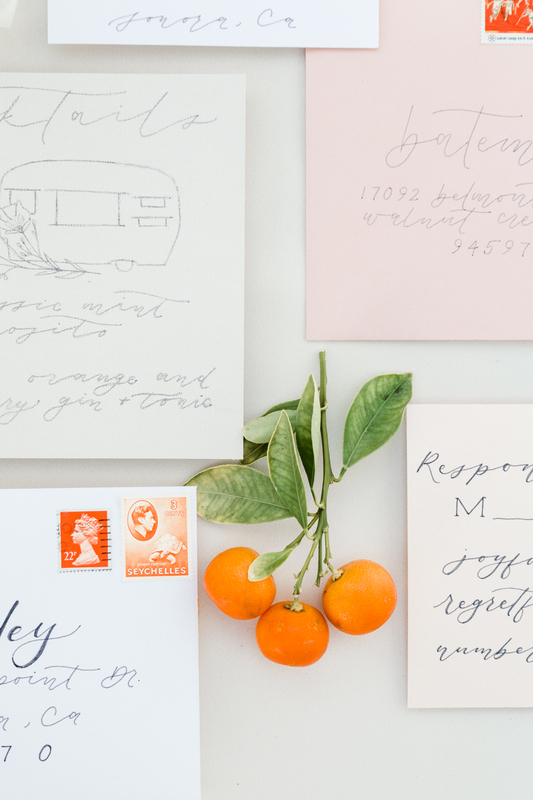 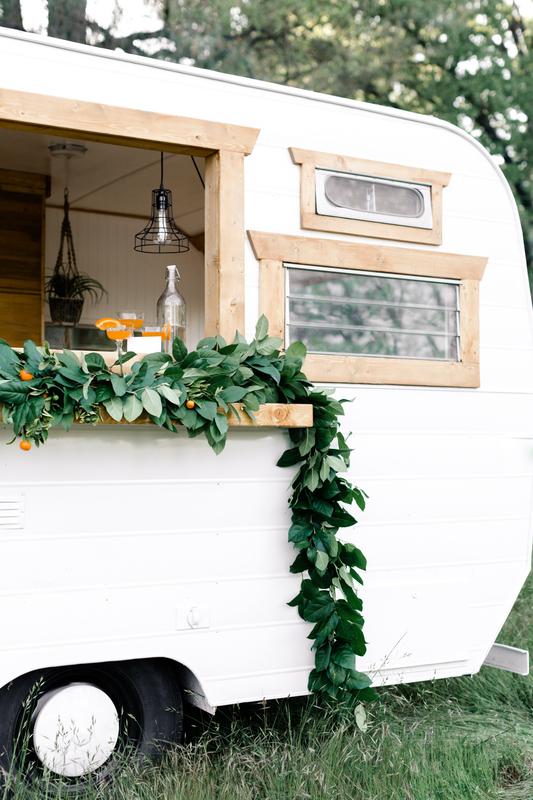 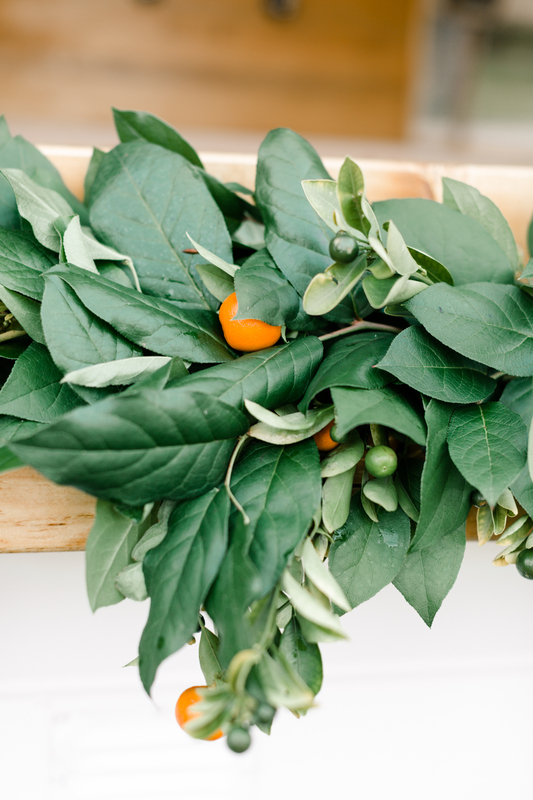 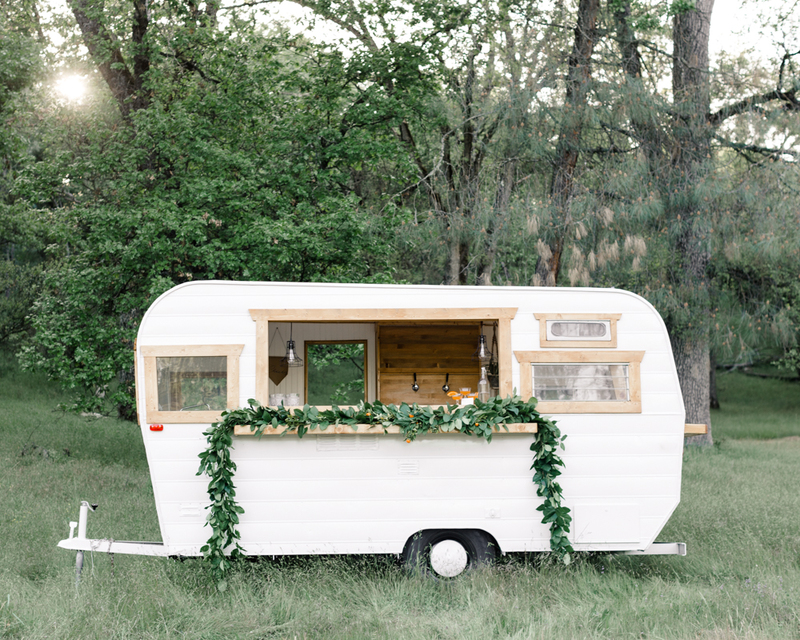 Kumquats decorate garland draped across the bar of an adorable caravan— a joyful little detail adding to the mood of the shoot and capturing the warm feelings of summer seen here in Erin Milnik ‘s beautiful images.